Books2Mention is honored to have Jennifer Wilford as our featured author this month. We truly appreciate her willingness to set aside some time to interview with us. Jennifer Wilford is the author of Blessed: Therapy: A True Story. A true story based on the trials and tribulations that surrounded the sudden death of both of her parents. She also reveals how those tragic events triggered a transformation in her life. B2M proudly presents our exclusive interview with Jennifer Wilford. B2M: Greetings Jennifer, Welcome to Books2Mention Magazine. First of all, congratulation on the debut of Blessed: Therapy. How excited are you to have your first book published? JENNIFER: I am very excited and also very blessed! I am anxious to see how the world receives Blessed: Therapy because it is indeed a true story. But yet touches on a very sensitive subject that isn’t easily discussed or accepted in the world. JENNIFER: I have been writing for over 10 years, but I did it just as a hobby. Generally I wrote poetry and short stories for my personal portfolio. However, writing was always my personal escape to a world where I controlled everything. B2M: What encouraged you to write this book? JENNIFER: Life’s experiences laid the foundation. I feel that my story encourages a lot of people in this day in age. Blessed Therapy is needed right now in our lives. So many people are faced with life altering decisions and may not be sure how to go about handling associated pressures. Blessed Therapy shows you how an average person was faced with ultimate decisions. It did not have to happen to a celebrity, but to your every day average person. I was obedient to God’s command; he told me to write this book. And in doing so, I had to experience things in my life that some people may not have been able to face. I couldn’t have this testimony without the test. It is a heartfelt tear jerker that will really cause you to do major re-evaluating of your life. In order for me to have a new life, my parents had to experience death. B2M: This is a very revealing look into a painful time in your life. How difficult was it to share your story with the world? JENNIFER: It wasn’t difficult for me at all. People don’t really value the gift that God gave us in our parents. To lose them can be devastating but you never know someone else’s pain until you are put in their shoes. I decided to give the world a glimpse into the life of an everyday person. I wanted people to see what it feels like to lose the ones you love. Maybe my experience can mend broken families and relationships. Blessed: Therapy also talks about my leaving the lesbian lifestyle after nearly 20 years. This is a very sensitive subject that isn’t easily expressed or discussed. I wanted the world to know that if I can walk away from it and never look back even as intense as the situation was, then maybe they will be able to re-evaluate their own circumstances in life. When you go through the experience of watching your mother die, it alters your life and shifts everything in it. My mom told me years ago that she didn’t want to make it to heaven and not see me there someday. Those same words rang in my ears as she took her last breath. It was then that I realized that being gay was no longer worth the pain and sacrifice that it caused me for so many years. My mother and father were my life and seeing them again meant more to me than anything. That was worth it all. B2M: Do you feel that writing Blessed: Therapy was therapeutic for your soul? JENNIFER: Yes I do. Every word in the book was written with love and tears. Writing gives me the ability to communicate my deepest feelings with the readers. I take them on a journey where they will feel as if they are standing with me through my experiences. The reader will be able to feel what I felt. And as long as I have pain, I will continue to write until the pain becomes bearable. B2M: Writing this book had to be a very emotional journey for you. Who was your motivational support through out the writing process? JENNIFER: The desire to please God motivated me to see this thing to the end. For once in my life, I wanted to make not only my parents proud but more so, make God proud of me. What he thinks of me means everything. B2M: What impact do you hope your book will have on readers? JENNIFER: I want people to realize the value of life. The ones we love can be here today and gone tomorrow. I lost my mother within 3wks of her being diagnosed with cancer and my father 10 months prior. Sometimes, if the reader feels the story is personal, they can relate more and can be open to change. I feel this book can and will be that change. After you read this story, if you never had a relationship with your parents before, you will after reading this book. I wouldn’t want to see people wait until a tragedy arrives in their life before they decide to walk away from certain things. Unfortunately, I can honestly say that if my parents had not passed away, I would more than likely still be in the gay life. But God saw fit to grab my attention by any means necessary. And he accomplished exactly what he set out to do. B2M: What three key pieces of advice would you like to offer to upcoming authors? JENNIFER: Write as often as you can as much as you can. It is easier to hide behind your words and be the true you. 2. Be open to constructive criticism but take advice from those that are qualified. You can’t let someone tell you how to build your dreams when their dream has been deferred. 3. Keep God first. Whatever you want to achieve in life, if he is at the helm, you can’t go wrong. JENNIFER: I hope to touch the lives of those that take time out to read about my journey. Everyone has all kinds of struggles in all walks of life, but if we choose to be obedient and listen to what God is telling us to do, we can make our life a lot easier. I hope to someday receive an opportunity to distribute Blessed: Therapy nationally to keep spreading the word about my life’s lesson and minister to others through words. If my experience with death and my having courage to walk away from being a lesbian all of my life can help just one person, then I have accomplished what God has sent me to do. JENNIFER: I am currently working on book two, Back from the Closet. It will take you back to the beginning of my being in the gay life, the healing and meantime, life after my parents’ deaths and finally the struggle of being straight. B2M: Jennifer, we encourage you to continue writing books that are informative and enlightening. We look forward to reading more of your work. Thanks for interviewing with Books2Mention Magazine. Please be sure to come back again and keep readers informed about all of your future endeavors. 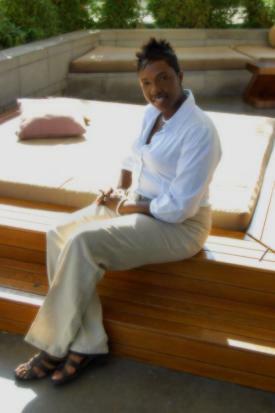 You are welcome to visit the website of Jennifer C. D. Wilford at www.BlessedTherapy.com.